Babies are fascinated with games that involve filling and emptying containers. 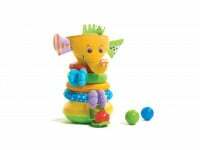 A shape sorter toy is particularly interesting at this stage. At around 15 months, simple puzzles spark the interest babies. Initially, babies simply remove the puzzle pieces. Gradually they learn to place them in the correct slots. 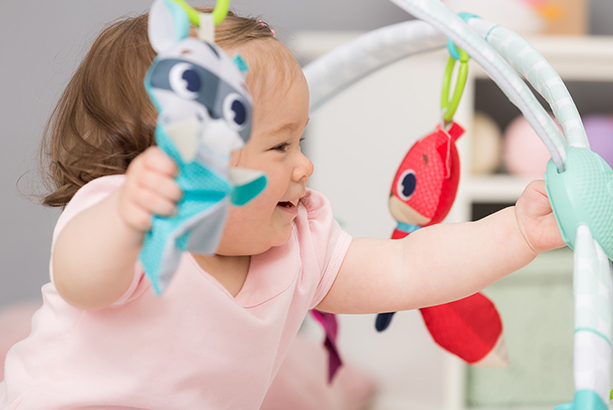 Improving eye-hand coordination helps babies hold one object and bring it to its intended destination – like bringing down a mallet on the keys of a xylophone to produce a clear sound, or using a toy hammer to bang tacks down on a cork board. Towards 18 months, the motivation to experiment drives babies to the world of coloring. At first, they hold the crayon or marker with a fist-like grasp and scribble to their heart’s content. 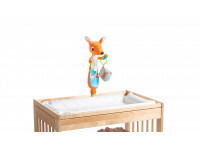 Baby waves goodbye, eats with his fingers and purposefully throws his toys and watches them fall on the ground. He places and removes objects in and out of containers and builds two-block towers – then promptly knocks it down! Turns two-three pages in a book, backwards and forwards and accurately hits a ball with a hammer. Some children at this age begin to eat with a teaspoon and hold a cup in two hands. Be patient! Tasks that require motor skills and control take time. Your baby needs to repeat these actions over and over again to master them. Let him develop at his own pace. Calm your baby when he shows signs of frustration, and encourage him to keep on trying through repetition. If he chooses a difficult task, help him along a bit so that he experiences success and is encouraged to keep on trying. 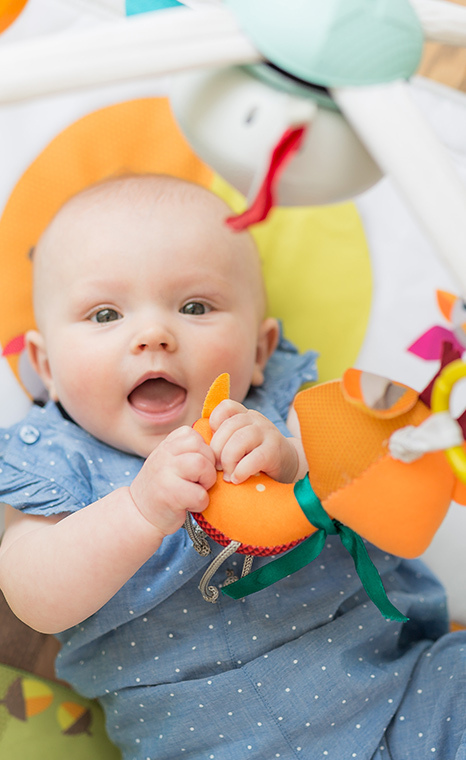 Allow your baby to feed himself even if it means that he – and everything around him – ends up being quite messy! 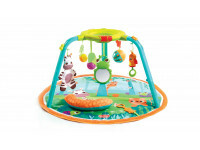 Be sure to keep hazardous materials out of baby’s reach. With his improving motor skills and insatiable curiosity, you will find him trying to open everything within in his reach. 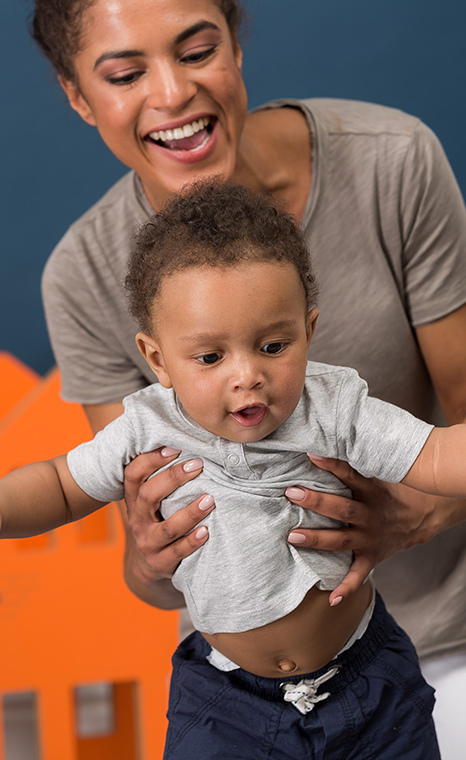 After discovering their hands, babies need to learn that they can activate them, make use of them and coordinate their movement to reach what they want. Read full article to learn more about this fascinating process of discovery.